Overview: Discover the horrible mysteries of the Monster House where nothing is too gruesome. 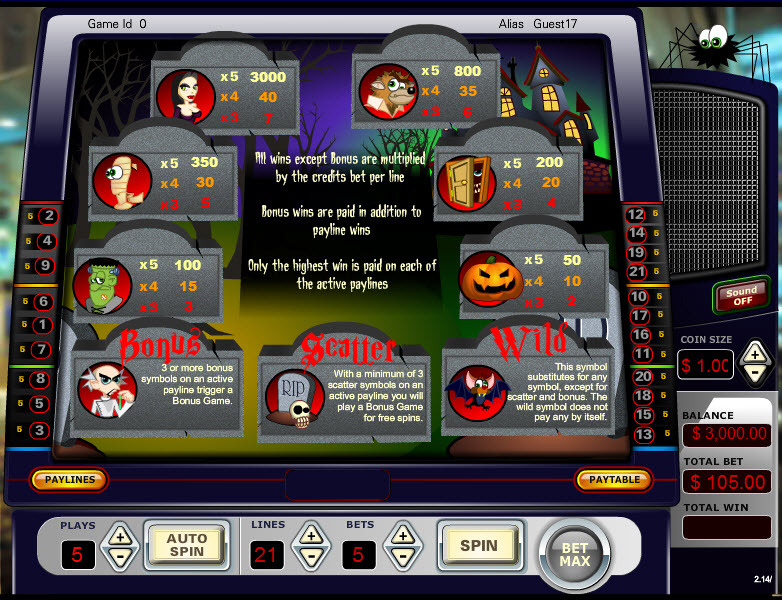 Try your luck with several line options and gobble up those winnings. 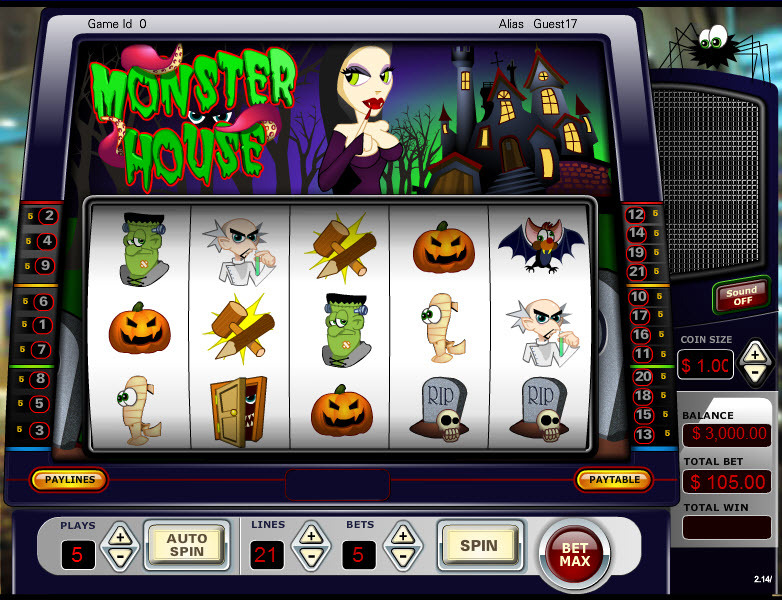 Similar Slots: If you like Monster House, you might like these other slot machines from Vistagaming: Amazon Quest, Diamond Double Spin, Disco Fever, Greek Myths, Princess of the Sea, Wild Cherry.